40 years ago, on 25 May 1977, Star Wars began its world-wide success story with the first movie being launched at 32 cinemas in the USA. We would like to celebrate this special anniversary by discussing what is science and what is fiction in the Star Wars movies. This will include the physics behind the famous light sabers, hyperspace, and of course...the force. 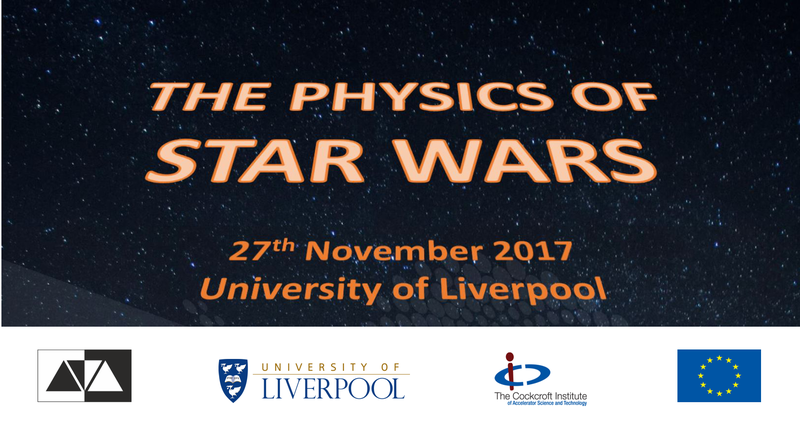 We will also link the Star Wars universe to current research activities in the physics department and show how this can be (at least) as exciting as what is shown in Star Wars. There will also be hands-on activities and opportunities to speak with our researchers. Activities start at 18:00 in the CTL - please see time table for details. This is not an official Disney/Lucasfilm event, but planned, organised and run by Liverpool staff and students. Only students of the University of Liverpool may register.